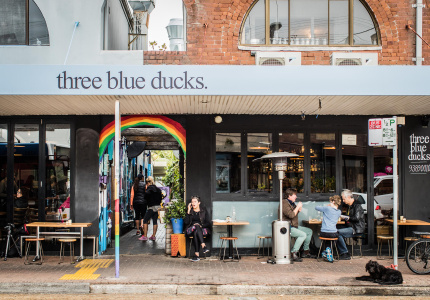 The all-Australian, beachside vibe of The Corso, Manly’s primary drinking and dining precinct, has little in common with New York’s Little Italy. Good pizza, however, can be appreciated anywhere. Pocket Pizza is small. 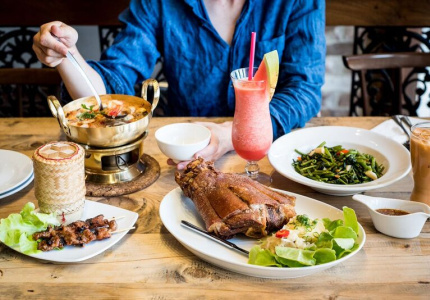 Despite four-metre-high ceilings, it seats just 36, and from Friday to Sunday there’s the option to takeaway. 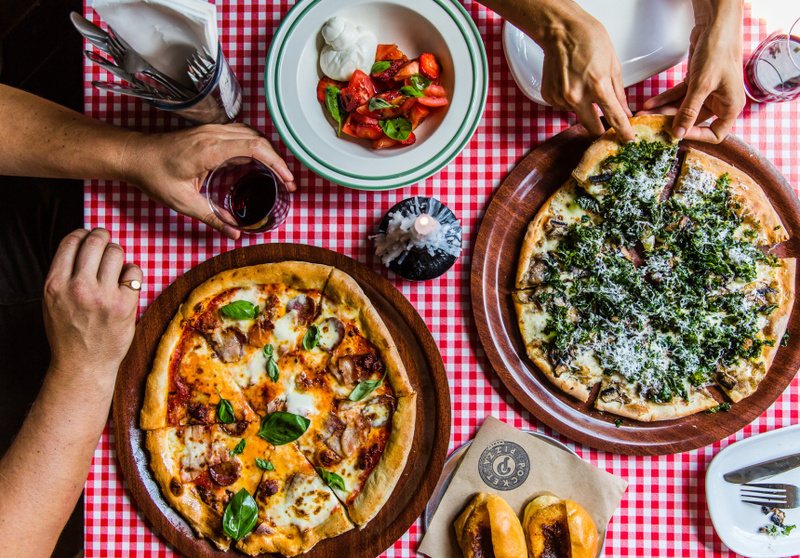 Décor is a little kitsch, but cosy, with neon signage and red-and-white tablecloths referencing old-school NYC pizzerias. Current design trends used include recycled wooden floorboards, exposed brick and decorative succulents. 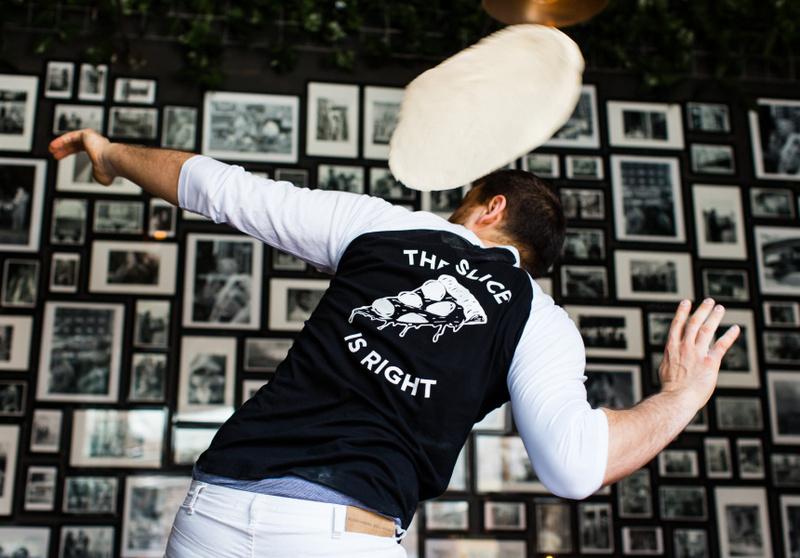 The dough is made daily, in-house, in small batches, and pizza can be ordered by the slice. Toppings err towards the creative over the classic, including triple pork with salami, nduja and speck, and mushroom with kale, ricotta, thyme, and truffle. 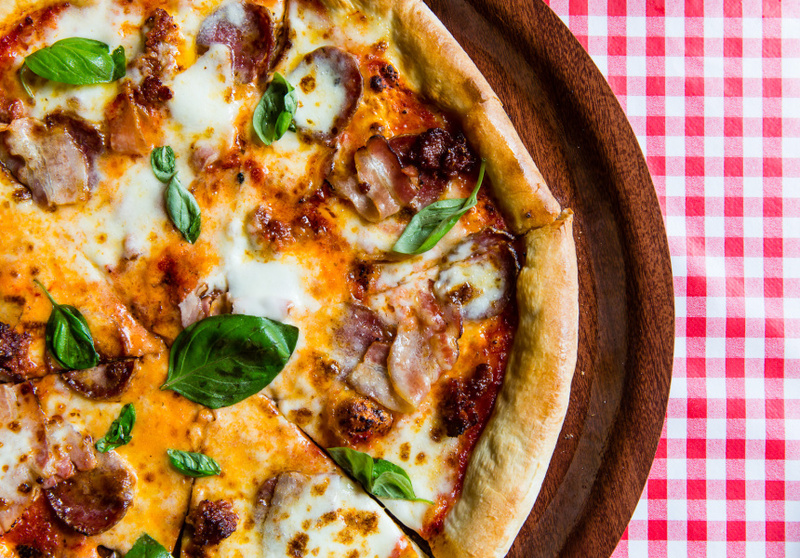 Aside from pizza, there are cold-cut platters, salads and crumbed cheeseburgers with bacon jam. Banoffee is the signature dessert. To drink, there’s the house Pocket Pizza Draught, available in pecker, pint or pitcher sizes. The logo is a re-worked design of the New York Knicks emblem, commissioned from local artist Cam Wall. Negronis and a rotating “house hooch” cocktail will also be on tap, such as an Aperol Spritz or punch.